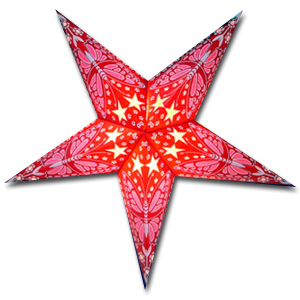 This paper star lamp is from India. It measures 24' across. This is a beautiful star lamp. This star lamp has tissue paper windows with a magenta color butterfly design. This star lamp will glow nicely when lit. This is one of our best sellers. You will love it too!